Low Cost Computer Repairs is dedicated to helping businesses and people in the Greater Pensacola Area solve their computer issues. We have been fixing, upgrading, and working on computer issuses since 2001. We take pride in servicing our customers on a one-to-one basis and standby our customers until we have resolved all identifiable problems. We work hard to treat customers with respect and make them our priority. We depend on our quality work and customers satisfaction to keep us in business. Low Cost Computer Repairs Pensacola accomplished hundreds of hours of research to find and utilize the best programs available to keep computers running 100%. 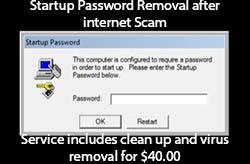 These programs eliminate the latest viruses, remove spyware, adware and malware, and perform the needed maintenance and PC repair to ensure computers run as if they were new, taken right out of the box. 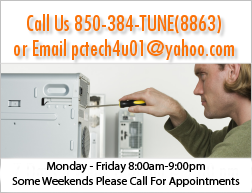 Low Cost Computer Repairs Pensacola is affordable and available from 8:00AM - 9:00PM Monday - Friday and sometimes weekends please call for appointments. If you have any questions, please do not hesitate to contact us.